The MateBook X Pro shows that Huawei has what it takes to build a great laptop. The MateBook X Pro is Huawei’s more powerful follow up to last year’s excellent MateBook X, and as the name might imply it is aimed squarely at Apple’s MacBook Pro. PC laptops have come a long way in the last few years, with good design, build and performance – all hallmarks of Apple’s laptop line – now common in the £1,000-plus category. It would be fair to say that the MateBook X Pro has more than a passing resemblance to Apple’s top-end laptop. It’s not that it’s a carbon copy, more a machine that takes just the good bits. 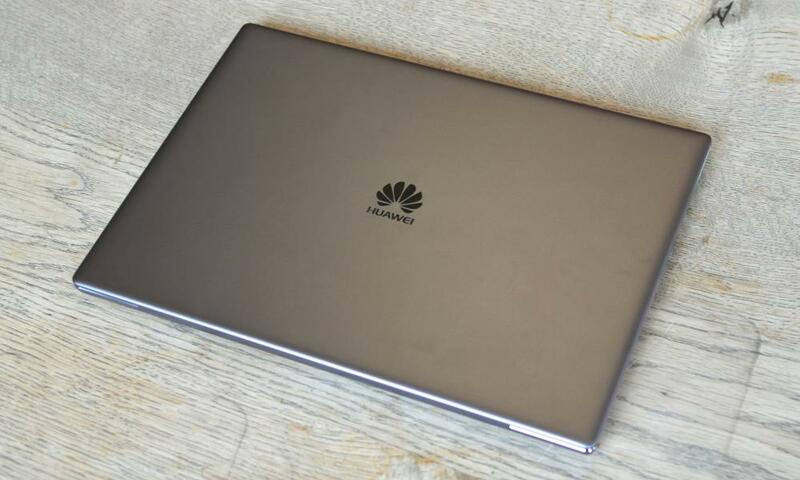 With the lid closed it looks like a fairly generic thin-and-light aluminium laptop with a gentle taper and a Huawei logo on the top, available in “space grey” and silver. 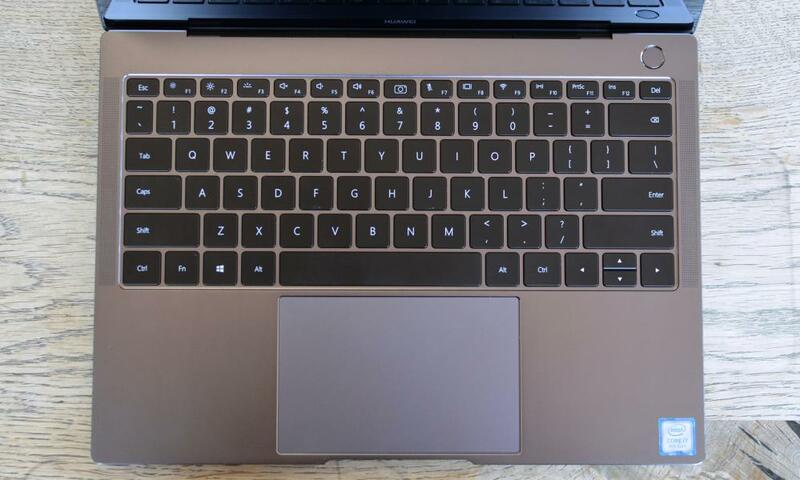 Open it and you find a MacBook-like backlit keyboard, large trackpad, a power button and two side grilles. But the screen is the star of the show. It’s a beautiful and crisp 13.9in 3:2-ratio screen squeezed into the frame with very slim bezels all round. It’s easily one of the best on the market and is quite large by modern laptop standards, housed in a smaller body typically associated with a 12in-screen laptop. The build of the machine is generally very good, with chamfered edges and a good fit and finish. There’s no give or flex in the keyboard, but there is a little in the rest of the deck and at the sides. The screen also has a little bit of give when squeezed when closed, or twisted when open. The MateBook X Pro is available in a couple of configurations, with a choice of 8th generation Core i5 and i7 processors, 8 or 16GB of RAM and 256 or 512GB of storage. Most of that is par for the course, but the Huawei machine also comes with a discrete Nvidia GeForce MX150 graphics card with 2GB of dedicated memory, which is rare for a machine of this size. The MX150 won’t set the gaming world alight, but it is a significant step up in performance for things like editing photos and video, or even powering a 4K display over your typical integrated graphics chips. It’s worth noting that the MX150 comes in two versions and the MateBook X Pro is fitted with the lower power 10W version, which is less powerful but more frugal than the 25W version that some other machines have fitted. Overall the MateBook X Pro was one of the best performing laptops I’ve ever used, easily handling anything and everything from video editing and advanced photo editing, to a bit of light gaming and Chrome with as many tabs as you can fit on one screen. 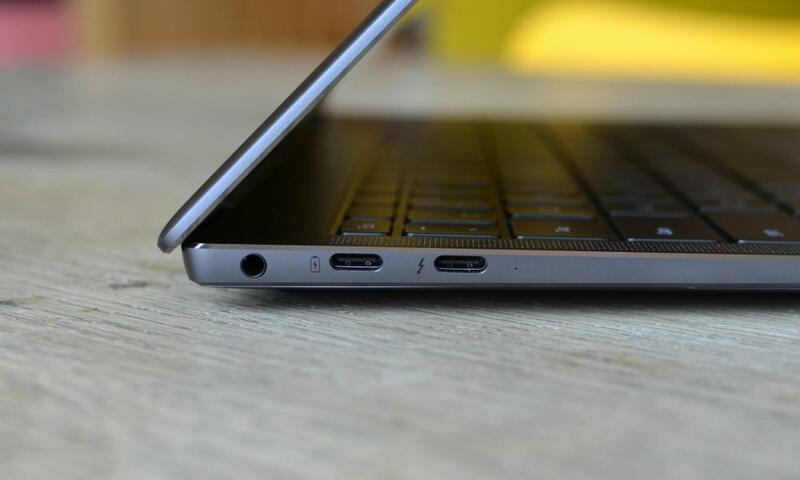 The MateBook X Pro might be thin, but it still has a single full-sized USB 3.0 port along side a USB-C port and a Thunderbolt 3 port. 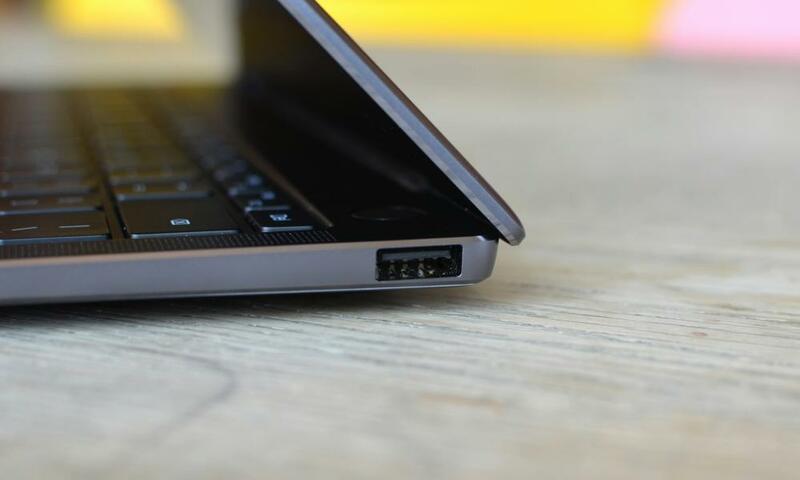 Either of the USB-C-shaped ports can be used to charge the machine, while there’s a traditional headphones socket, but no card reader. Huawei is well known for its battery life in smartphones. Unfortunately, while the MateBook X Pro has reasonable battery life it isn’t anywhere near class-leading. It will get you through a work day without needing the charger, but if you want to watch a video on the commute home you’ll be out of luck. In my testing the MateBook X Pro lasted just over eight hours between charges while performing regular office duties, which includes lots of email, around 15 browser tabs open in Chrome, some photo editing, listening to music via Bluetooth headphones and lots of writing into lightweight text editors. Heavier things such as gaming affected the battery life quite a bit, but generally speaking most users will plug the laptop in to game or perform similarly demanding tasks for any extended period. Performance aside, the MateBook X Pro is a lovely machine to use. It’s whisper-quiet for the most part, with its fans only spinning under sustained heavy load, and its brilliant screen is matched by an equally excellent keyboard and trackpad. The keyboard looks like a MacBook Pro keyboard, but with real key travel. It’s a satisfying typing experience that is rarer than you might think on even expensive laptops. The keyboard also hides one of the most interesting tricks I’ve seen on a laptop in a while. The key between F6 and F7 is actually a pop-up webcam. Press it and it reveals a one-megapixel camera, which certainly has a tendency for the up-the-nose shot, but simply doesn’t get in the way during normal use. 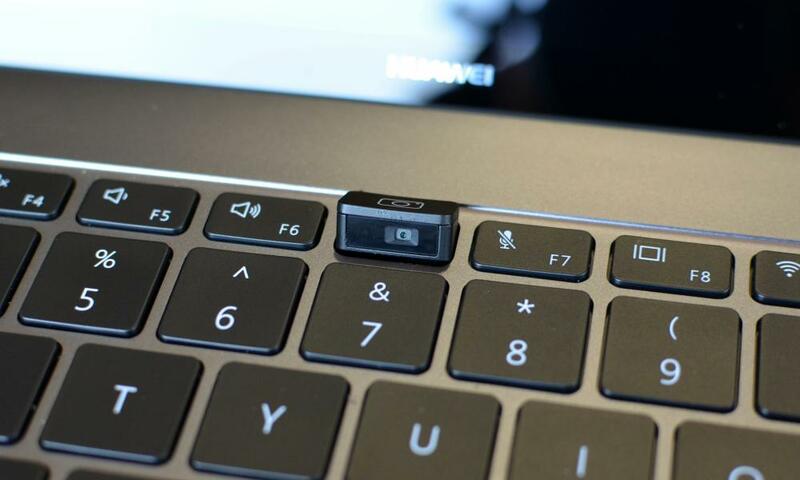 If you’re one of the vast majority of laptop users that barely ever turn on their webcam, this is a great compromise and it means no one is going to be able to hack your webcam and spy on you. There’s even a mute switch for the microphones, so no one will be able to listen to you either. The large trackpad is silky smooth and responsive, making it one of the best in the industry – at no stage did I end up zooming when I tried to scroll, which is something many PC laptops still struggle with. 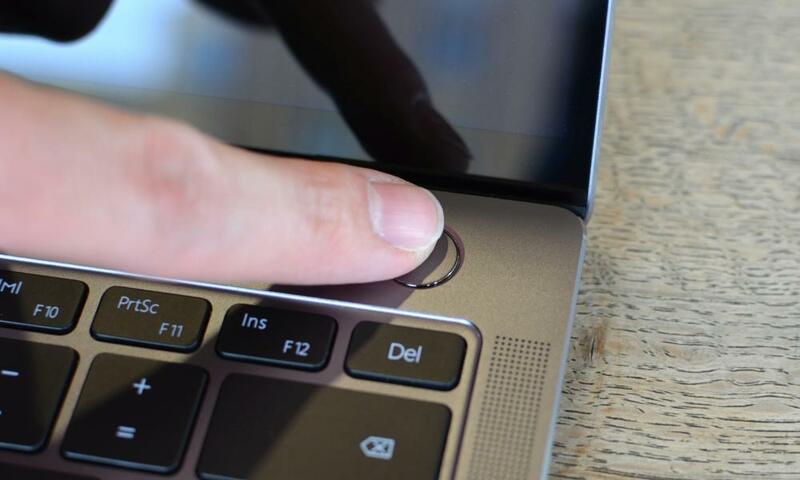 The power button doubles as a fingerprint scanner and will recognise you and log you into Windows when switching on with one momentary press, taking about eight seconds to power on and be useable. The MateBook X Pro has a Dolby Atmos sound system with four speakers built into it: two tweeters at the back and two bass speakers at the front, not that there’s any visual indication that they’re there. I was sceptical, but the four-speaker system actually works very well. It’s louder, clearer and has a smidgeon more bass than most of the best of the rest, although the audio is less direct than it might be on a machine with front-facing speakers such as Microsoft’s Surface Pro. They’re still laptop speakers, so don’t expect true room-filling sound or the quality of a set of external speakers, but they’re capable of being clearly heard while cooking and provide solid impromptu movie-watching experience. The Huawei MateBook X Pro will cost €1,499 with a Core i5, 8GB of RAM and 256GB of storage, €1,699 for the same processor and RAM but 512GB of storage, or €1,899 with a Core i7, 16GB of RAM and 512GB of storage – as tested. A UK launch and pricing has yet to be determined. For comparison, For comparison, Dell’s XPS 13 with a comparable screen and 8th generation Core i5 starts at £1,399, Microsoft’s Surface Laptop starts at £979, the Surface Book 2 starts at £1,499 and Apple’s MacBook Pro starts at £1,249. Models with discrete graphics cost more, with Microsoft’s Surface Book 2 starting at £1,999 and Apple’s 15in MacBook Pro starting at £2,349. The screen is brilliant and the tiny bezels mean you get a very good sized display in a pretty small body – 14in, it turns out, is a great size for both work and play on a thin and light laptop. It’s not a one-trick pony, either. It has one of the best keyboards on the market, an excellent, large trackpad and solid connectivity, it is a do-it-all machine in a beautiful case. It’s not perfect, though. There’s give in the aluminium where I don’t think there should be, and the battery life is good but not class-leading. But on the whole Huawei has created something quite special here.